The Vermont State Society (VTSS) is a social group for Washington, D.C. metro area residents who have an affinity for Vermont – to share information on events, activities and news from Vermont. VTSS is a chapter of the National Conference of State Societies, a 501c4 tax-exempt not-for-profit social organization. Happy New Year! It is hard to believe, but 10 years ago this month, the Vermont State Society (VTSS) was established to offer Vermonters – in Washington, D.C. and at home up north – the opportunity to come together to celebrate the 2009 presidential inauguration. Ten years later, we’re writing to you with a request for your help. Funds generated by the 2009 inauguration gala allowed VTSS to play a convening role for Vermonters and friends of VT in D.C. over the next four years. 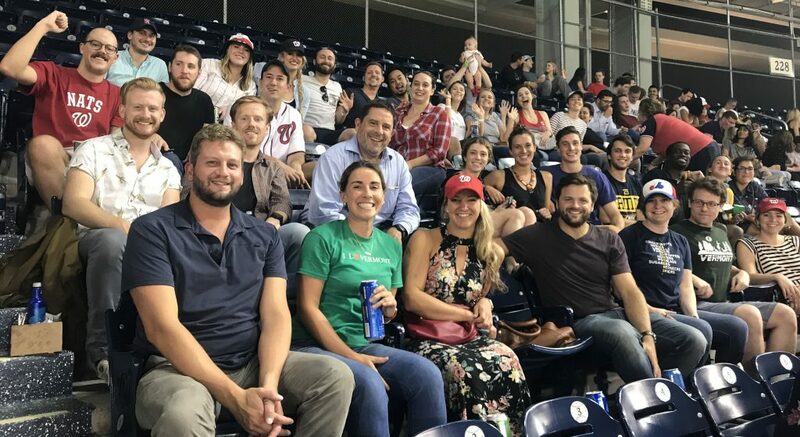 We’ve hosted gatherings including our annual Vermont Town Meeting Day event, Drink of Vermont, Nationals baseball games and holiday celebrations. We were fortunate that our second inauguration gala in 2013 again brought in funds to sustain our activities to date. In response to feedback from our membership following the 2016 election, VTSS cancelled plans to hold its third presidential inauguration party in January 2017. Instead, we hosted a gathering in support of the Women’s March for our group, as well as the Vermonters who traveled to D.C. by the busload to participate. We’ve never made such an appeal to our membership before, but it is important to convey how not holding an inauguration event two years ago left VTSS without our only source of funds. And with that, we’d like to ask you to please consider a donation to VTSS. These funds will allow us to host 3-4 events a year and properly prepare for the 2021 inauguration. We believe VTSS plays an important role for many here in D.C. and hope to be able to do so for years to come. This will only be possible with your support and that of our friends at home in Vermont. 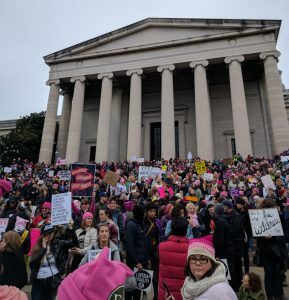 This weekend marks the two-year anniversary of the Women’s March and among the many important organizations you may choose to support at this moment, we hope that you’ll also consider a gift to VTSS. Thank you for your generosity as we mark 10 years together as the Vermont State Society. Join our mailing list to stay up-to-date with Vermont State Society news and events.